A few months back, the Center staff was treated to a tour of the General Motors Design Archive in Warren, Michigan. It was a rare opportunity to exchange ideas with colleagues and peek at an amazing collection. Since that time, we have received several queries about collections here at Cranbrook with GM connections. 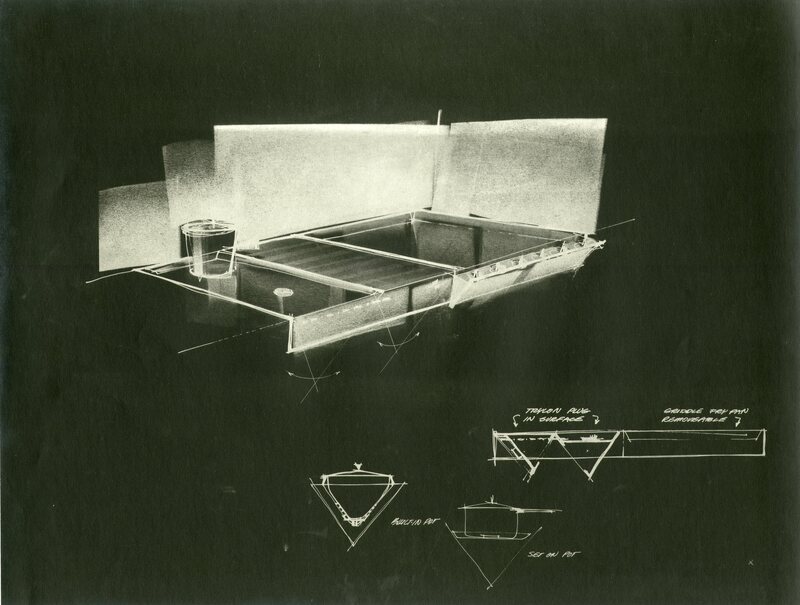 One of my favorite collections is the Jayne Van Alstyne Papers. 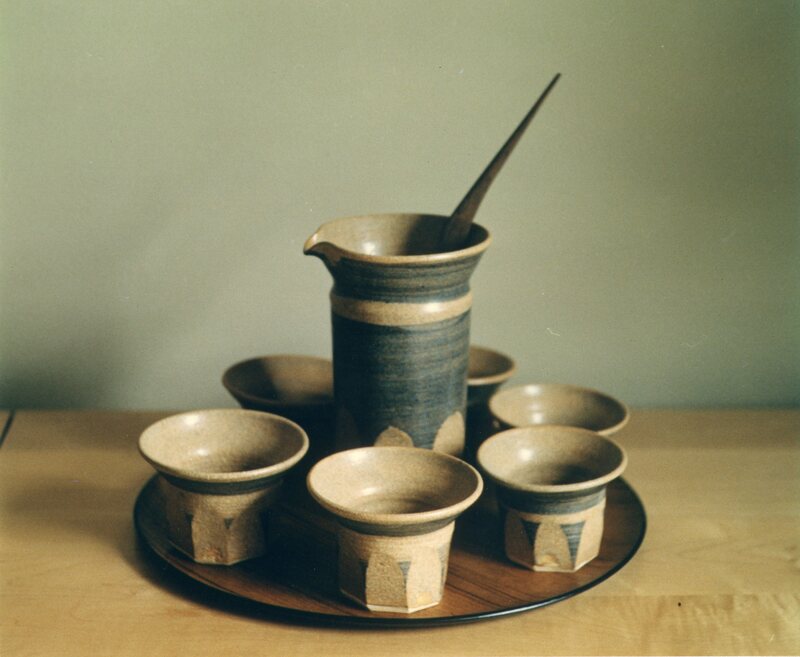 Born in Delaware, Ohio in 1923, Martha Jayne Van Alstyne was an industrial designer, teacher, and ceramicist. The Van Alstyne family moved to East Lansing when Jayne was in high school and her father, Benjamin, accepted a coaching position at Michigan State University. Benjamin Van Alstyne coached basketball and golf at MSU, and her mother, Madeline Bliss Van Alstyne was an interior designer. 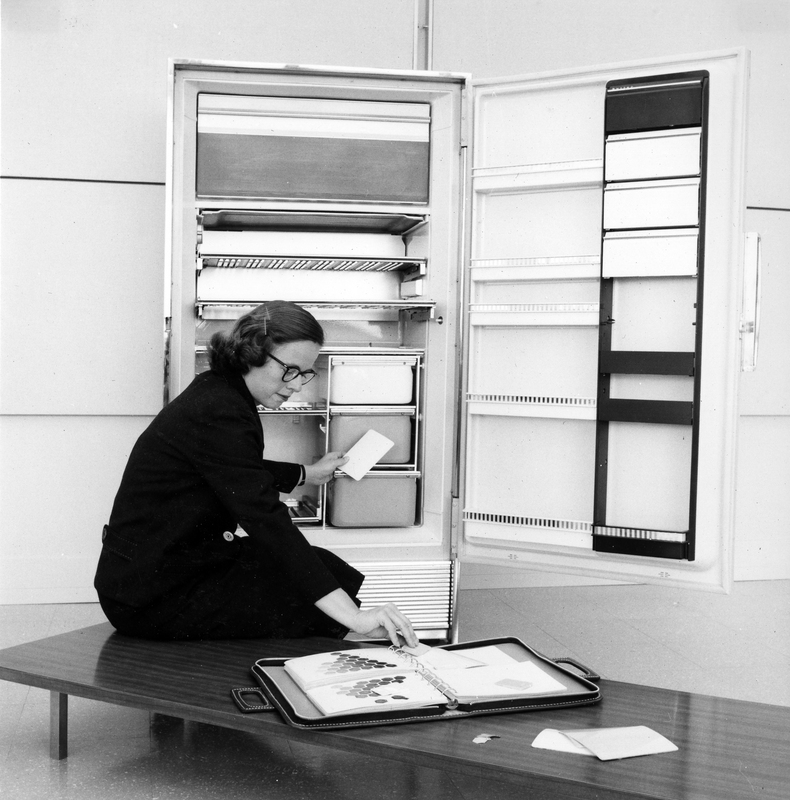 Jayne Van Alstyne at work at GM, Oct 1956. Courtesy Cranbrook Archives, Jayne Van Alstyne Papers. 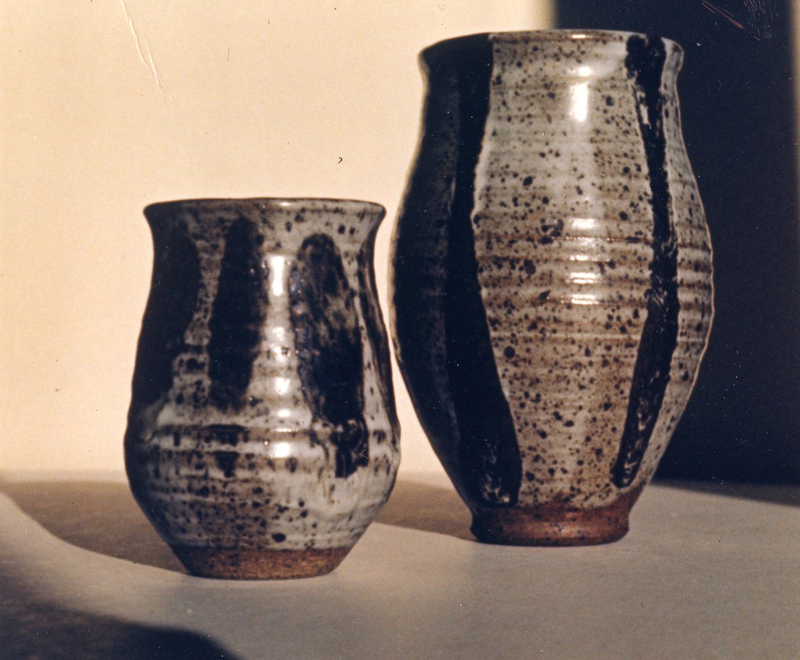 Jayne attended Cranbrook Academy of Art (1941-1942) and the Pratt Institute (1942-1945), where she received an Industrial Design Certificate. She completed her bachelor’s and Master of Fine Arts at the Alfred University in New York (1948-1950). Jayne’s ambition and passion for work and life are abundantly evident in the slides, photographs, correspondence, and portfolios we have here in the Archives. While still a student at Alfred, Jayne developed an Industrial Design program and a Landscape Design course for Michigan State University. 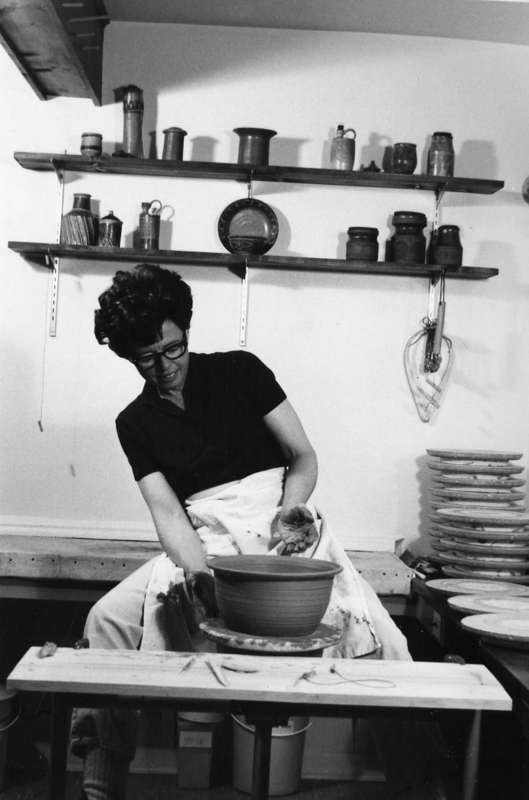 In 1949, she was recruited by Montana State University to develop an Interior and Industrial Design program. She loved Bozeman and stayed in this position until 1955 when she joined the design staff at General Motors Frigidaire. 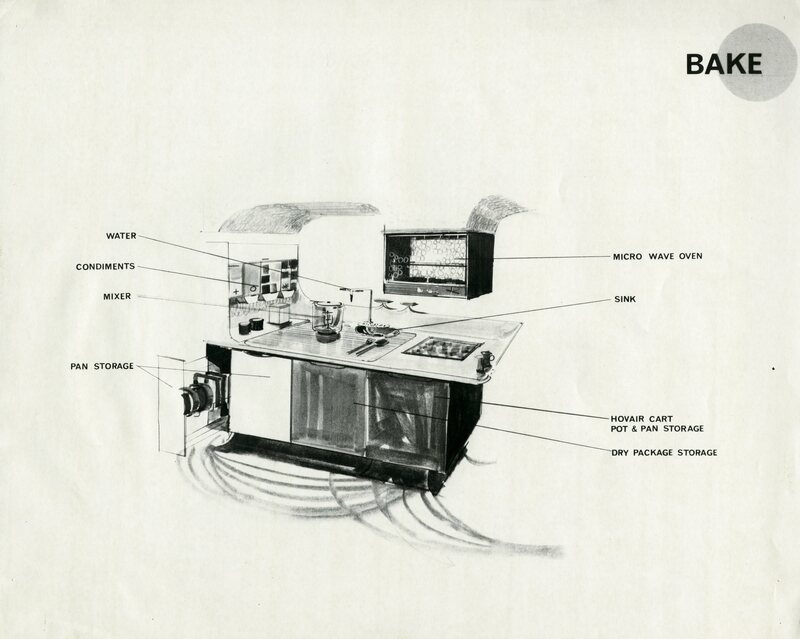 Kitchen designs, ca 1955-1958. Courtesy Cranbrook Archives. Jayne worked at General Motors in the Appliance division and later in the Automotive division as one of Harley Earl’s famed “Damsels of Design” until 1969. She holds the patent for the first stackable washer/dryer, as well as 8 additional patents for GM. 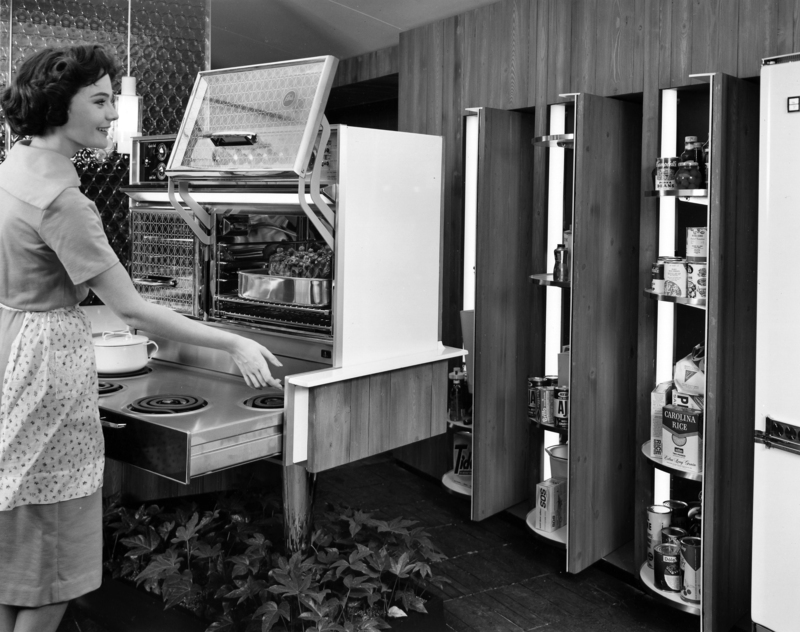 As the Studio Head for GM Frigidaire, she was responsible for research and development, including the “Ideas for Living” and the “Kitchen of Tomorrow” presented at the General Motors Motorama. An image from “Ideas for Living,” 1960. Courtesy Cranbrook Archives. In 1969, Jayne took her experience to the classroom, teaching industrial design at Cornell University. In 1972, she moved back to Bozeman to head the Department of Professional Design at Montana State University, where she remained until her retirement in 1985. During her tenure at Montana State, she designed the Danforth Chapel, including the stained-glass window and furnishings. In addition to industrial design and teaching, Jayne loved skiing and fly-fishing. 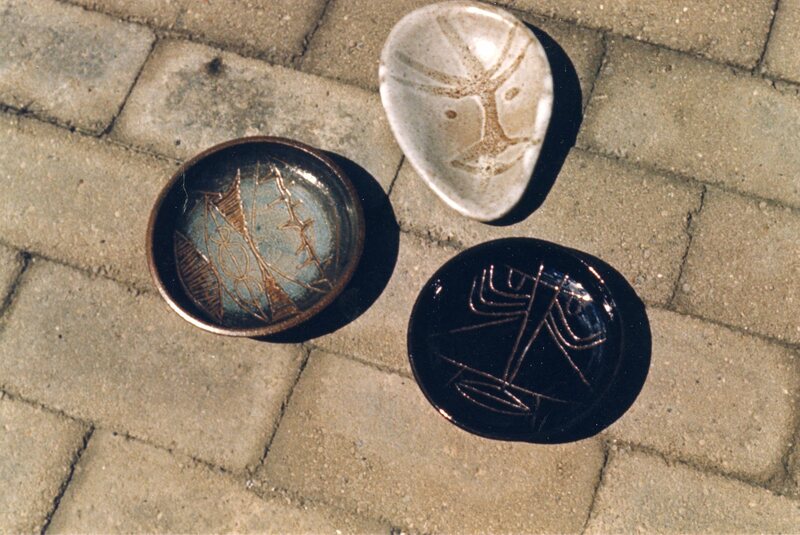 She was also an accomplished ceramicist and won numerous ceramic awards. Her work is in the permanent collections of Alfred University, Detroit Institute of Arts, Everson Museum of Art, and Michigan State University. Jayne passed away in 2015 at the age of 92. When approaching Cranbrook along Lone Pine Road, you’d be forgiven if you thought the street’s name was meant to be ironic. The verdant drive is bound by trees–including many varieties of evergreens. In fact, the name of our southern border road comes from a very specific, lonely tree. 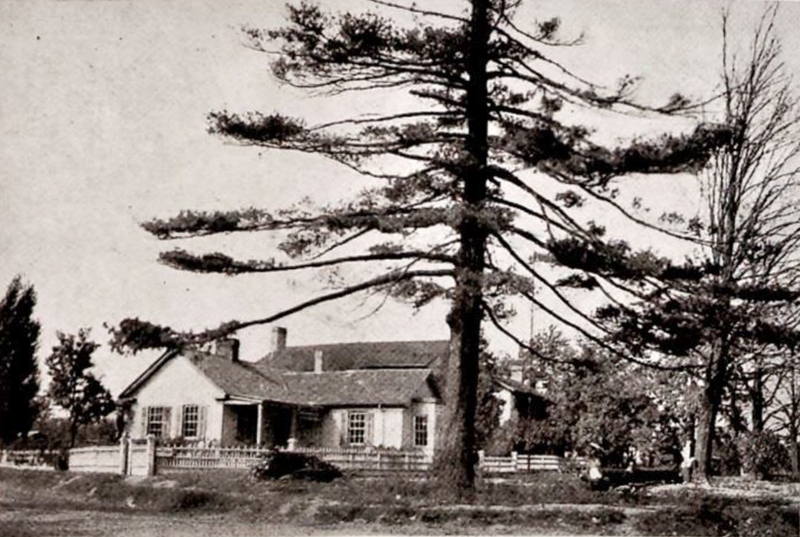 The original lone pine tree, standing in front of the Lone Pine Treasure Shop. Photograph before 1924, from The Afterglow magazine, June 1925. Courtesy of John Marshall/Bloomfield Township Public Library. The Lone Pine Inn and Lone Pine Treasure Shop (far left) after being moved for the widening of Woodward Avenue (foreground). The pine tree seen here is not the original Lone Pine, but perhaps a replacement? Photograph by Arnold Studios, c. 1927. Copyright Cranbrook Archives. In the same article, plans are presented to plant a new pine on the same corner. I wonder if one of the pines standing there now, in front of the old Lone Pine Tea House isn’t the replacement Lone Pine? 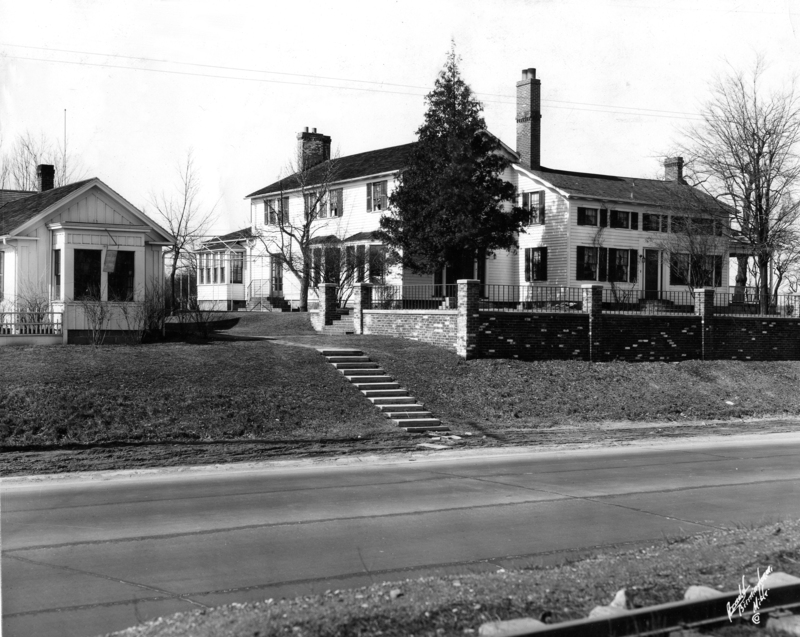 (The Tea House building became the Lone Pine Inn after George Booth purchased the building in 1910, and has been a private residence, the offices of Swanson Associates, and is now O’Keefe consultants). With a little bit of whacking to clear the area around the tree, it could be possible to again have a lone pine along the road.